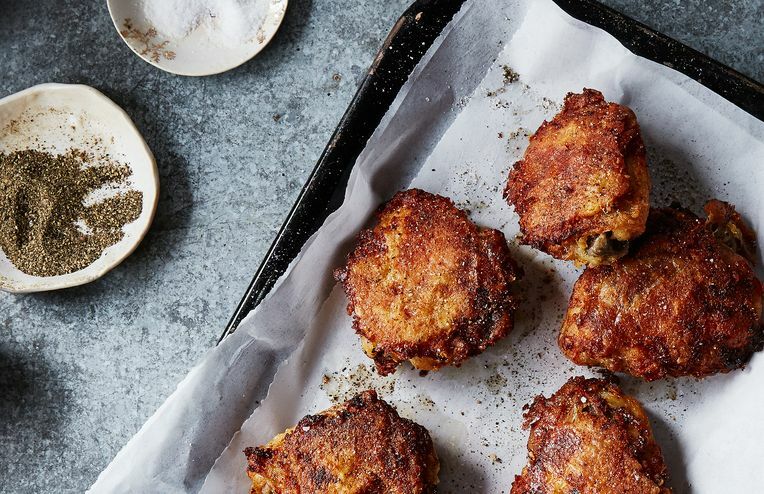 Roast chicken, fried chicken, skillet chicken, and more. Call it the Barefoot Contessa effect. Upgrade your fry, scramble, and so forth. World, this is the genius chocolate chip cookie we've been waiting for. How to thicken a pan sauce without cream (or flour). For Valentine’s Day and all the days after. How Molly Yeh wins the Super Bowl. The Food Lab strikes again. And why they deserve your love. Cue the applause (and the recipe-saving). From the great Marcella Hazan. With a trick for extra oohs, ahhs. From Rose Levy Beranbaum, of course. All the do's and don'ts to win at Stella Parks' Genius technique. The cure for later winter blahs, too.